Belfast five-piece Cashier No. 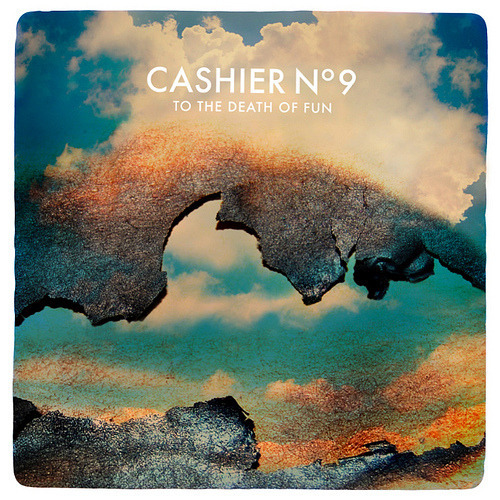 9 couldn’t be further away, musically, from Two Door Cinema Club, the current darlings of the Northern city’s music scene. Referencing everything from The Byrds to Primal Scream, their widescreen sound and tightly-crafted songs don’t aim to “nail it” in three minute pop songs, but instead wrap themselves up in a groove that can bring them to the five minute mark. For this quality alone, they immediately bring to mind Creation-era Primal Scream; a devotion for classic song structure but with the dimensions and grooves that have made great electro records timeless. Lead single ‘Goldstar’, with its nod to Phil Spector’s Wall of Sound, is an immediate, confident and ambitious opener, which even manages to pull off a harmonica solo (from Hollies’ sessioneer Tommy Morgan, no less) that could have gone badly wrong. Although the banal title of ‘Lost at Sea’ is off-putting at first, it shares the same thunderous drums and restless rhythms of ‘Goldstar’ and is an obvious single in waiting. The bridge between their obvious ’60s, West coast leanings and ’80s & ’90s British indie rock becomes more obvious, with ‘A Promise Wearing Thin’ recalling the melodic grandeur of Echo and the Bunnymen classic ‘Ocean Rain’ and the groove-laden, baggy-indebted ‘The Lighthouse Will Lead You Out’ bringing to mind mid-’90s era Charlatans. Over the ten tracks, it’s the fusion of these influences that manage to keep the music fresh and exciting. Closing track, ‘6%’, a downbeat synth- drenched song, is an intriguing way to end the journey, and could very well signal the direction they take on album number two. At the heart of Cashier No. 9’s impressive debut is David Holmes’ lush production, which skillfully adds textures and layers without resorting to the nostalgic, retro stylings that often date a record. Throughout, the multi-dimensional arrangements often recall Mercury Rev’s Deserter’s Songs and All is Dream. However, like the aforementioned records, it’s also grounded in the tight songwriting structures and styles which defined the Laurel Canyon songwriters of the ’60s / ’70s, like Neil Young, Crosby, Stills & Nash, Jackson Browne and Gene Clark. And while they lack memorable, inspiring lyrics that make use of the broad song forms they write in, these anthemic, big sounding songs could make Cashier No. 9 a surprise hit at festivals the world over. Part of the charm of the second compilation from Dublin-based collective Popical Island is that they represent a throwback to a time when people queued up for records on the day of release, mixtapes were a welcome gift from fellow musos and Seattle, Washington, was the unlikely capital of rock music. In the wake of the synth- pop revival that has revitalized everything that was good – and bad – about the ’80s, Popical Island # 2 throws a knowing glance towards the ’90s; a time when a new alternative rock album that would define the decade seemed to come along at least once a year. Diversity and range, within the pop form, is key to Popical Island’s latest release. While all the artists seem to share common ground, their leanings become more obvious after repeated listens. Michael Knight’s quirky piano song, ‘Hang On, I Need To Count the Stops’ is clearly from the Ben Folds songbook, the chiming 12 strings that adorn Goodly Thousands’ ‘Kiss Me Upside Down’ recall I.R.S. era R.E.M., while ‘Candle’ by Squarehead should keep fans of The Shins happy. Three minute pop nuggets aside, there are also left turns, such as Tieranniesaur’s ‘Here Be Monsters’, which is possibly the only track that isn’t defined by fuzzy guitars but by a tight, stomping drums and bass with sparse keys and vocals. In contrast again, Grand Pocket Orchestra and Johnny Fun & The Hesitations’ contributions owe their sound and feel to the many records which defined the Montreal music scene of recent years. While many of the contributions here aren’t breaking any new ground, have little to say and, at times, are a too indebted their influences, there’s plenty here to enjoy and the mere nostalgia trip, alone, is worth the price of admission. Ten years on from Is This It and indie kids the world over are still sporting skinny ties, blazers, drainpipe jeans and beat-up Converse. Aside from influencing the stock of High Street fashion retailers, the garage rock of Is This It produced a wave of new bands, with even established acts like R.E.M. and U2 crediting The Strokes for the back-to-basics approach they both took on subsequent releases. Odd then, that the band that heralded the garage rock revival of the 2000s and epitomized CBGB’s rock should have lost their way as much as they did. Faced with the unenviable task of following up Is This It, Room On Fire was full of unremarkable tunes by a band in cruise control, while First Impressions Of Earth was too long, overblown and lacking in character. Subsequent solo projects by all of the band members made little or no impression on the indie rock fraternity. All of which The Strokes are keenly aware of. There’s a confessional feel to Angles – on the album opener ‘Machu Picchu’ Casablancas sings “I’m just tryin’ to find a mountain I can climb” – and The Strokes 2011 aren’t without humor. The album’s flagship single, ‘Under the Cover of Darkness’, is a tongue-in-cheek number and smacks of something of an in-joke for the band; the classic sound is lifted right out of Is This It – Casablancas vocal melody of the line “I won’t just be a puppet on a string” is an exact copy of “Well I’ve been in town for just about fifteen minutes now” from 2001 single ‘Last Nite’. In a mirror of that lyric, he lambasts Strokes wannabes and in turn the band’s own sluggish development: “I’ve been out around this town / everybody’s been singing the same song for ten years”. As if to drive the point home the song even finishes in the same abrupt manner in whichIs This It’s ‘Take it or Leave it’ and ‘Hard to Explain’. A pastiche of the Is This It it may be but it is also an opportunity that The Strokes take to confront their “definitive” sound in an effort to move on. The main key to The Strokes’ development is how they’ve changed the way they operate as a band. Angles is a slight, compact record – 10 tracks clocking in at just under 35 minutes. For the most part the band produced the record themselves and it’s also the first album with songwriting contributions from all five members. And within this tight and busy frame they blend their strain of garage rock with synthpop. ‘You’re So Right’, ‘Taken for a Fool’ and ‘Gratisfaction’ are all recall some of Room on Fire’s more intriguing moments, while the 80s synthpop of ‘Games’ wouldn’t have sounded out of place on Casablancas’ 2009 solo debut, Phrazes for the Young – ‘Games’ being most radical departure from The Strokes’ roots will undoubtedly divide fans between those who love it and those who hate it; those who accept it as a Strokes song and those who don’t. It could be this experimentation with synthesized rhythms that has challenged the band to write songs in a way unexpected by The Strokes and it is impressive how easily they translated much of the infectious hooks that make up their signature guitar songs to synths. ‘Two Kinds of Happiness’ and ‘Machu Picchu’ are both particularly successful in blending synthpop influenced verses with natural, garage rock choruses. These songs are, by proxy, the very heart and soul of Angles but by far the most enigmatic track here is album closer ‘Life is Simple in the Moonlight’, which points to where The Strokes might go next. Cut from the initial, fraught sessions with producer Joe Chiccarelli (U2, The White Stripes, The Shins), guitarist Nick Valensi trades the Thin Lizzy / Gun N’ Roses licks of ‘Gratisfaction’ and ‘Metabolism’ for a relaxed and fluid style of playing akin to Badfinger and Steely Dan. As the album closes, Casablancas screams “Don’t try to stop us…get out of our way”. With a comeback of this magnitude and a confident step in the right direction after two missteps, who could stop The Strokes? On the far side of J Mascis’ fuzzy guitar sounds, which defined not only Dinosaur Jr.’s sound but in turn marked him out as an alt. rock legend, lies a softer, breezier side. On Several Shades of Why, his solo debut album proper, he engages with his folk-rock influences like never before, which range from After the Gold Rush-era Neil Young and Crosby, Stills and Nash, to Nick Drake. No doubt aware of the deluge of folk / Americana albums in recent years, he has crafted this album with instruments and arrangements that are alien to Dinosaur Jr.’s records and might be more suitable on a Mercury Rev album (Saw, anyone?). Mascis has clearly taken a leaf out of those American alt. rock songwriters who are deeply rooted in country music. Opener ‘Listen to Me’, with its simple progression and whispering vocals, feels like a Evan Dando track, while ‘Is it Done’ could easily have been written and recorded by Lucinda Williams. 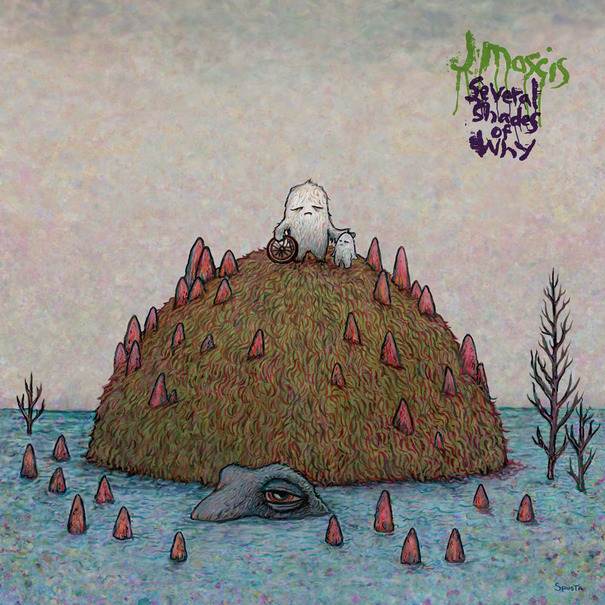 The intricate finger picking and harrowing strings of the albums title track finds Mascis at most earnest and the feel of the song is echoed in ‘Very Nervous and Love’. Album highlight, ‘Not Enough’, a campfire folk-pop song complete with backing vocals from current tour mate Kurt Vile, is the sound of the summer. The record takes a strange twist towards the end and the penultimate and ultimate tracks, ‘Can I’ and ‘What Happened’, respectively, find Mascis keeping the line of the record while layering the songs with distorted guitars and taking the record into a dark place. And while the album’s roots influences and pop sensibility may not be for Dinosaur Jr. purists, those with a library-full of the best folk / Americana records of the last 10 years have another addition that ever-expanding genre.